While most eyes were on Shaun White as the snowboarder secured his third Olympic gold medal during the Pyeongchang Winter Games Tuesday, it was another snowboarder who had a striking message for viewers at home. Though Stante failed to qualify in the event, ranking at No. 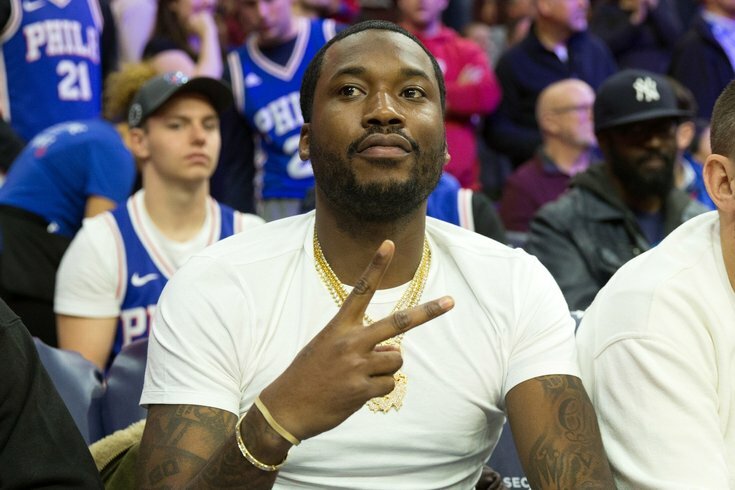 25, he still managed to garner some attention and get people outside Philly and the United States talking about rapper Meek Mill’s prison sentence. Stante is the latest public figure to show support for Mill, the rapper native to Philadelphia who was sentenced last year to two to four years in prison for violating decade-old probation violations. Jay-Z and Al Sharpton are among other public figures to advocate on the rapper’s behalf, arguing racial bias played a role in Mill's sentencing. The Philadelphia Eagles played the rapper’s song “Dreams and Nightmares” for its Super Bowl intro music. The snowboarder’s message fell on the same day Mill’s lawyers received information that might aid in cutting the rap artist's sentence. According to reports, the Philadelphia District Attorney’s Office maintains a list of around two dozen Philadelphia police officials with a history of racial bias and brutality. Unnamed sources told Philly.com that Reginald V. Graham, a now-retired cop who arrested Mill in 2007, is among the names on the list. Though the rapper has already been denied an appeal, his attorneys could petition to challenge the conviction based on this new development. In this case, however, the petition for retrial must be filed with Common Pleas Court Judge Genece Brinkley, who has been accused of acting on bias toward Mill after he denied her alleged attempts to strike a business deal together.